We’re thrilled to announce the official launch of English Studio! Following the success of our popular French and Spanish classes, we’re excited to introduce a brand new range of English courses at our school on the East Coast! From Group Conversation classes, to General English and Private Tuition, we’ve designed the perfect programme for anyone who wants to improve their English language skills, while living in Singapore. Find Your Course At English Studio! Whether you are a complete beginner, or have studied English before, we have the ideal course for you! And much more! Visit our website today! There are lots of reasons why you will love your lessons at English Studio – and here are just a few! All our courses are taught by fully qualified, native English teachers, so you can be confident you’ll receive the very best tuition. As part of your English Studio experience, you’ll have the opportunity to practice real life scenarios by going on field trips with your teacher! Don’t worry, we are here to help! Contact us today to take a free level test and to discuss your objectives and goals. 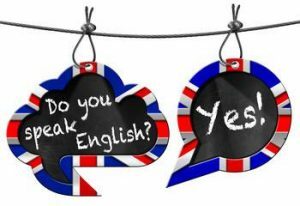 We guarantee you’ll love your classes at English Studio and will be speaking “The Queen’s English” in no time!